Location: North of R287 and west of Drumahair. 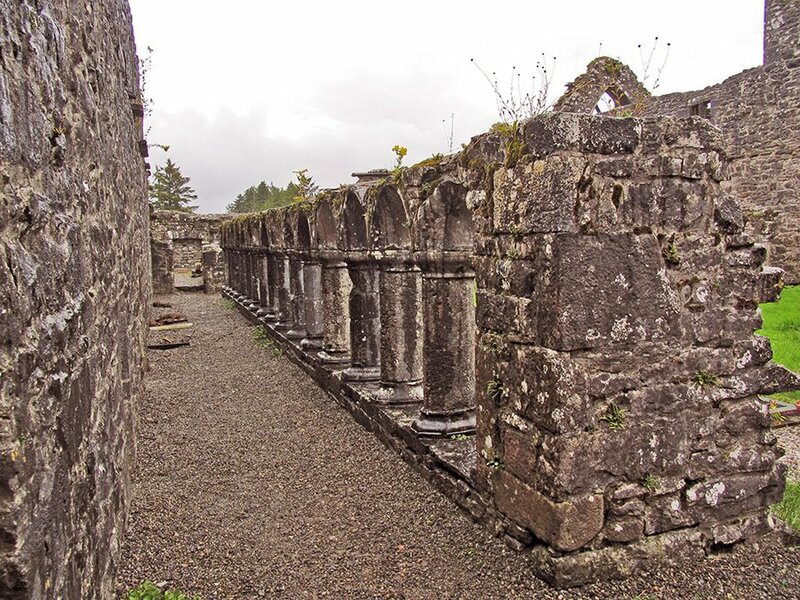 Observant friars from Donegal were invited in 1508 by Margaret O’Brien and her husband, Eoghan O’Rourke, to make this foundation, the last pre-Reformation Franciscan foundation in Ireland. Before it was completed, the buildings were badly damaged by an accidental fire in 1536. 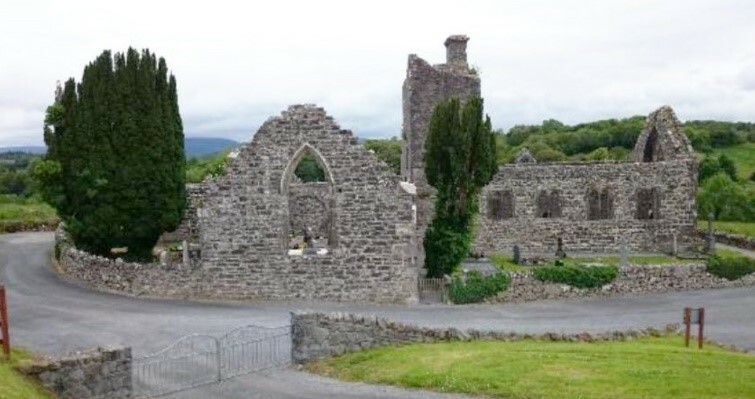 The friary escaped suppression until it was occupied as a barracks by Sir Richard Bingham in 1590. 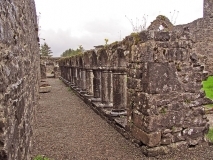 It was 1618 before the friars were able to set up a permanent residence again. As usual, the friars had to depart during Cromwellian times, but returned after the Restoration. They then became involved in parish work in the area. The last friar of Dromahair was Fr. Peter Magauran, who died in 1837. 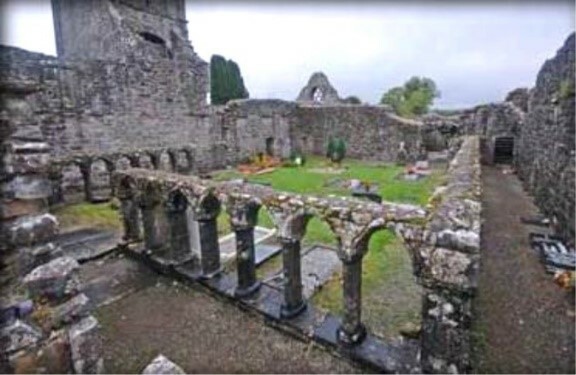 The friary of Creevelea is in a graveyard about a ten minute walk through a wooded area from Dromahair village. Remains: a church with transept chapel and tower (altered); large sections of the convent and cloister; N.B. 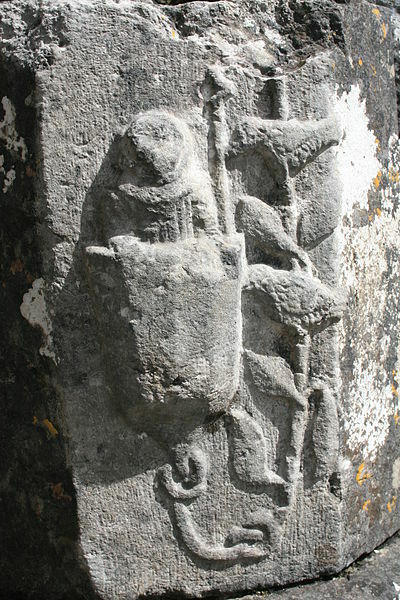 – an immense amount of good stone-work: the flamboyant and east and west windows in the church, reliefs on the mullions of the east window, animal motifs under the tower, and especially two bas-reliefs of St. Francis on the side of a pillar in the cloister, one of St. Francis preaching to the birds, the other of the Stigmata of St. Francis.